With all of the negative press about Australia’s National Broadband Network (NBN), consumers who have the option to switch to the NBN from a working broadband connection might be forgiven for being cautious. After the NBN is made available in an area, residents have up to 18 months to switch from their current plans to one provided on the NBN. 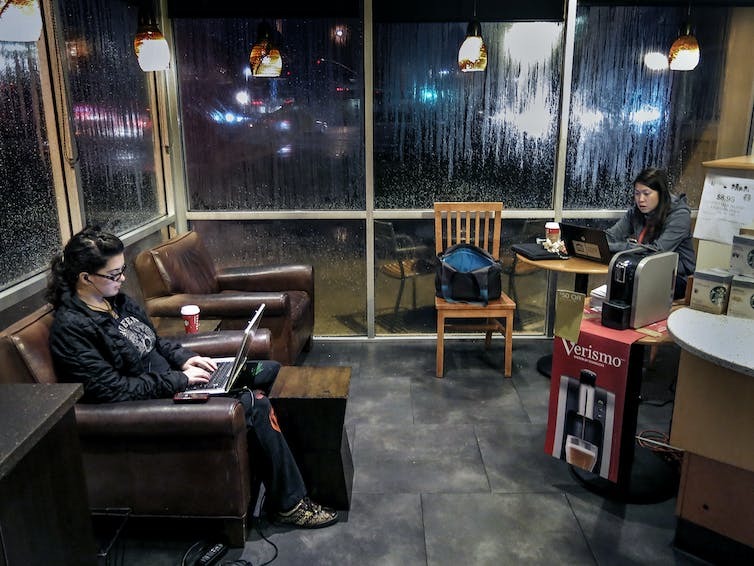 Once it is available in an area however, residents are usually deluged with offers from various internet service providers (ISPs) about switching, making it hard to ignore. In my area in Western Australia, I have had HFC from Telstra for many years and so changing to the NBN does not involve a change in the underlying technology. Although some researchers have classified HFC as being an inferior technology to Fibre to the Node, it is actually capable of delivering speeds of 100 Mbps down and 40 Mbps up. Within the next one to two years HFC will be capable of 1 Gbps speeds with the roll out of DOCSIS 3.1. HFC connections may still suffer if ISPs do not adequately provision adequate CVC capacity on the NBN but HFC does not have the same limitations as Fibre to the Node with regard to the distance from the node. There is also a possibility that the NBN will see more homes connected to a node than was the case when Telstra ran the network. This may also impact performance. In my case, I was consistently getting speeds of 100 Mbps for downloads but only 2 Mbps for uploads. Prior to the NBN, these speeds have been a luxury for those Australian’s who lived in areas that were services by Telstra and Optus with HFC. Making the switch to the NBN was relatively simple but uncovered some decisions that it is worth spending time considering. If doing a conversion, some of the options aren’t made obvious by the sales team and so need to be explicitly requested. Once you have decided on an ISP, there is the question of what speed of connection is available at any given residence. HFC doesn’t suffer from a slowdown based on the distance from the “node” and so speeds up to 100 Mbps are available. ISPs like Telstra however, sell plans based on download limits and at the default of 25 Mpbs. Choosing up to 100 Mbps costs another AUD 30 a month. It seems that for most Australians who have connected to the NBN, the default of 25 Mbps has been the most popular choice, with 53% of fixed connections being at 25 Mbps and a further 29% at the lowest tier of 12 Mbps. For the average family just watching streaming video and using social media and browsing, this is likely to be fine. It has resulted however in the overall average speed of internet connections in Australia remaining low at 10.1 Mbps. Another choice that doesn’t seem important at the time is the choice of wireless router that ISPs offer. Here again, the default for Telstra is a basic Sagemcom F@ST 5535. And it is basic. 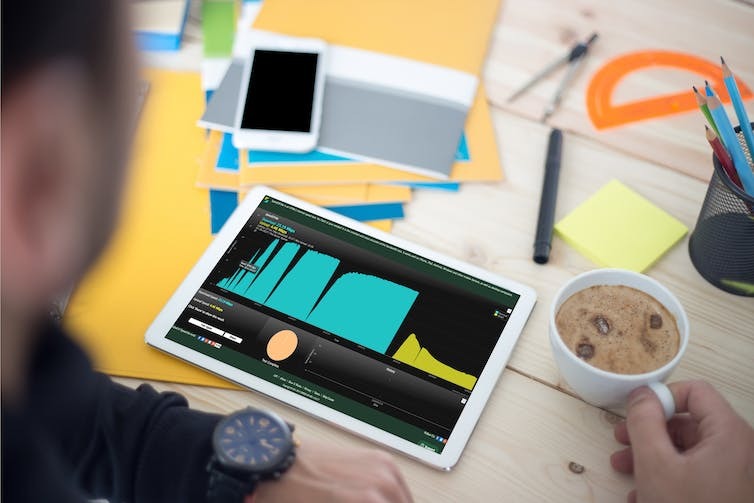 It doesn’t support the fastest wireless protocols used by recent smartphones and laptops, 802.11ac. The fixed cable connections from the router are also not the fastest kind. Not having the fastest wireless can make a significant difference to the overall speed of the internet connection of devices and so it is always worth upgrading. Some of the routers also have the ability to fail over to using 4G if the NBN connection is not available for any reason. This may be important because on the NBN, the landline phone is switched over to using the main internet connection using Voice over IP (VoIP) and not the physical connection over the old copper network. However, if the power goes out, the phone will also be unavailable even by this route. Other than for the phone connection, any wireless router can be connected to the NBN modem. The Telstra router can then be simply used for the phone connection and its WiFi switched off. For me, and I stress the personal nature of this, the switch was fast, efficient and painless. From contacting Telstra, the wireless router was shipped within 4 days and the appointment with the NBN technician booked for a week after the order was placed. Any interaction with the Telstra NBN connection staff involved little wait times and the only negatives were some confusing emails and an order status that said the order was delayed when it wasn’t. The NBN technician arrived and didn’t need to switch the physical box attached to the wall outside the house. It was just a question of plugging in the modem, making sure it worked, and telling NBN and Telstra to switch it all on. The technician gave me advice of avoiding being disconnected when making the switch over from the old system to the new and then left, although I had been barraging him with questions about how the rollout was going. Getting connected was just a question of connecting the wireless router to the NBN modem, switching it on and connecting to the wireless network. 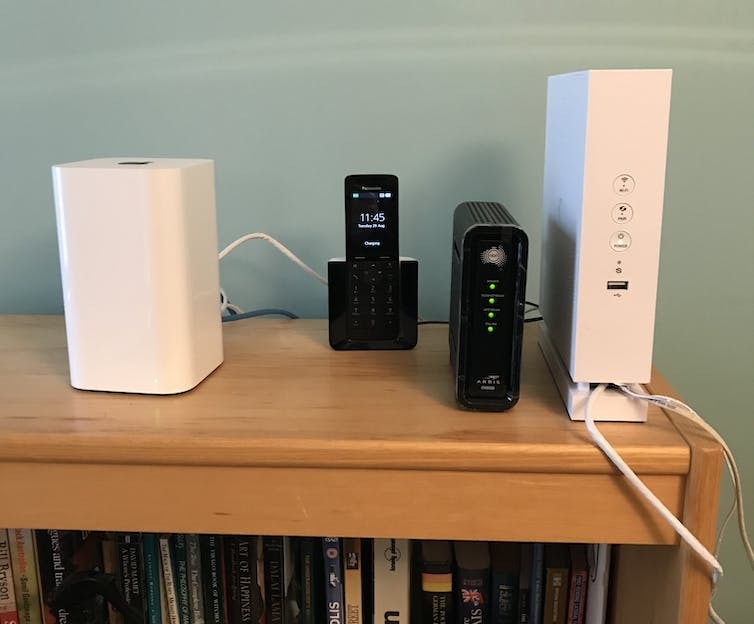 As I mentioned above, I use Apple wireless routers and so altered the configuration after things were connected. The download speed dropped from the Telstra non-NBN connection. During the morning, I got about 94 Mbps download. The massive difference was in the upload speed which is now about 38 Mbps. This is a huge bonus over the existing connection which gave 2 Mbps. Upload speeds are never really thought about as a problem until you realise that synchronising with services like iCloud, Google Drive and DropBox all become significantly faster with the NBN connection. However, in the evening, the speed dropped to between 50 – 70 Mbps download and 23 – 35 Mbps upload. This was something that didn’t happen on the Telstra non-NBN connection which was consistent even in the evenings. It is still early days and as more people connect in my immediate area, bandwidth may be further affected. Telstra may also ramp up the capacity so that there are not these changes in speed based on the time of day. An affordability gap and increasing reliance on mobile data could limit internet access for some Australians. Since 2014, when data was first collected, Australia’s overall digital inclusion score has improved by 3.8 points, from 52.7 to 56.5. In 2016–2017 alone, Australia’s score rose by 2.0 points, from 54.5 to 56.5. But there is still a “digital divide” between richer and poorer Australians. In 2017, people in our lowest income households (less than A$35,000 per year) have a digital inclusion score of 41.1, which is 27 points lower than those in the highest income households (above A$150,000) at 68.1. 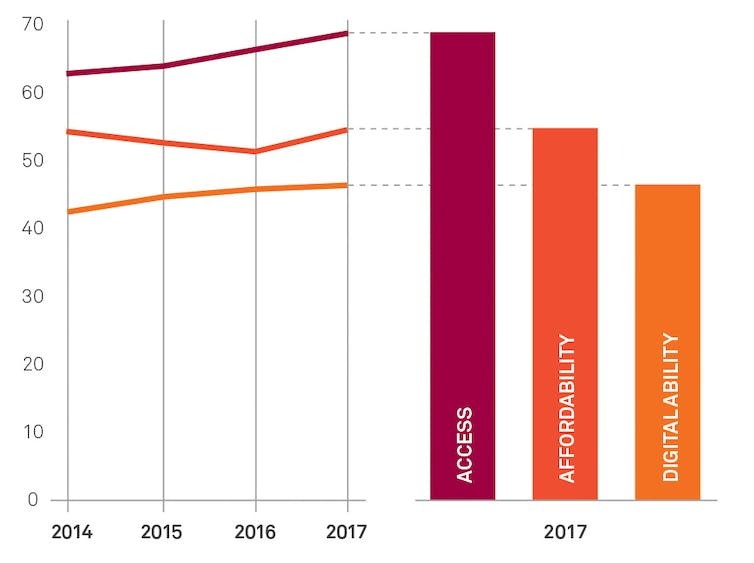 Online access and digital ability have increased since 2014, but affordability has dropped. The ADII shows that the cost of data — for both fixed and mobile internet — has declined over 2014-2017. These findings are in line with the ACCC’s ongoing monitoring of prices for telecommunications services, which indicate an average decline in real terms of 3.1% since 2006. The BCAR report finds that, overall, phone and internet affordability has improved since 2006. However, their data also shows that almost all the gains occurred before 2013, and that, since then, affordability has declined or flat-lined. Further, BCAR’s data suggests that the lowest income households in Australia are now spending almost 10% of their incomes on internet and communications services. In contrast, middle income households are spending around 4% of their disposable income on these services, and for wealthier households, the figure is less than 2%. However, the problem of affordability also reflects another recent development that the ADII highlights: one-in-five Australians now only accesses the internet through a mobile device — and we know that mobile data is considerably more expensive than fixed broadband on a per gigabyte basis. 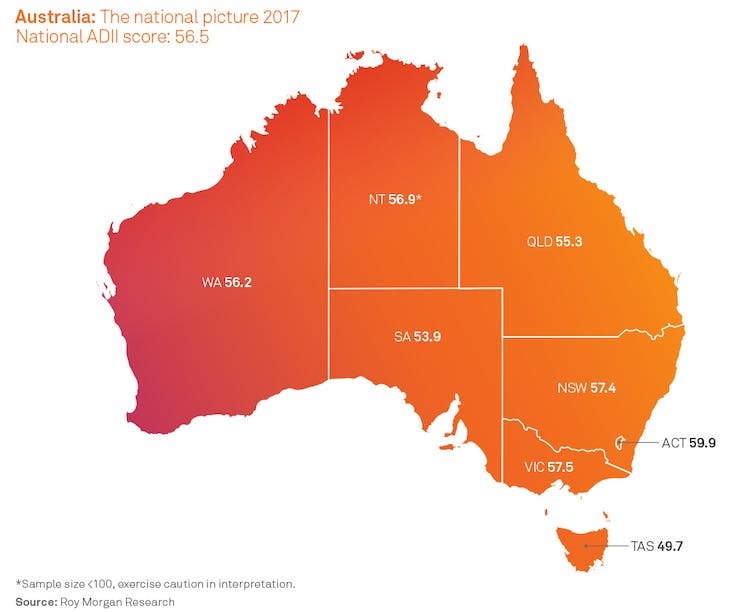 Australia’s national digital inclusion score in 2017 is 56.5, but varies from state to state. The ADII uses data derived from Roy Morgan Research’s ongoing, weekly Single Source survey of 50,000 Australians. These are extensive, face-to-face interviews, dealing with information and technology, internet services, attitudes, and demographics. As an increasing number of essential services and communications move online, the challenge to make the Australian internet more inclusive is becoming more urgent. Affordability is a key area for attention, but so is improving Australians’ digital ability. A simple broadband speed test from speedof.me. The Australian Competition and Consumer Commission has pledged to get tough on any Internet Service Providers that mislead consumers about National Broadband Network speeds. But how do you know if you’re getting a good deal when you connect to the NBN? How do you know if you’ll be getting the high-speed connection you were promised? NBN Co is building the infrastructure, with 5.7 million premises now able to connect to the network via fibre, hybrid cable, wireless or satellite. To make that connection though, you have to deal with one of almost 150 listed ISPs. The ACCC’s chairman Rod Sims says we should expect a healthy and competitive sector. But he also says many consumers are “confused about broadband speed advertising” and the industry has been “inconsistent in making clear, accurate information available”. So it is crucial for the ACCC to ensure that companies do not mislead consumers about the speeds offered by their ISP. The Australian market is different to that in the United Kingdom, where the regulator Ofcom actively provides accurate information to consumers to enable a comparison of services. Australia takes a different approach, relying on protections available via consumer law, and encouraging industry self-regulation to provide the right information to the consumer. transmission quality of the content delivery network. A basic speed test of any internet connection is a measure of the time it takes to transfer a fixed file from a server. The result is usually given in Mbps (Megabits per second). Many ISPs, such as Telstra, Optus and iiNet, currently provide internet speed tests for their customers. But speeds measured this way tend to reflect the connectivity from the ISP to the consumer. The speeds you experience in general use can be significantly lower than the “peak” speed advertised by the service provider. To get a better idea of the real speed of your internet connection you should use another speed testing service, in addition to the one recommended by your ISP. Speeds can change over time for even the fastest NBN connection. Currently most ISPs offer a higher speed for downloading and lower speed for uploading. As many users often download the same content, the network can be optimised to take advantage of this and offer higher speeds. But users also upload unique content, such as photos to social media accounts or files to cloud storage. This does not have the advantage of scale and thus speed of access could be lower. As cloud-based storage and content-delivery networks – such as Netflix, Foxtel and others – become more highly trafficked, our requirements are changing. Many users now prioritise more symmetrical internet connectivity, with similar download and upload speeds. How fast should the internet be in Australia? In Australia, premises with fibre connections to the NBN can theoretically get a peak rate of 100Mbps. In fact, in Australia there are 5 tiers of NBN connections, varying between Tier 1 (12Mbps download/1Mbps upload) to Tier 5 (100Mbps download/40Mbps upload). But the measured speeds can often be slower than promised by your provider. There are various reasons for this. It could be that there is a problem between the premises and the NBN network, or there could be delays or oversubscription within the ISP network. There can be congestion and delays in national and international networks due to inadequate investment by various stakeholders to keep the capacity of the network in scale with the increasing number of customers. Your experience can also vary across the day and from one service to another. As the number of users varies quite markedly over 24 hours, the state of the network (NBN, ISP network, Content Delivery Network) can change with various levels of congestion. This leads to different speeds of connectivity at different times when accessing different types of services. For example, web access might be slower given the location of a server, compared with an internet video streaming service that might be optimised to deliver the most popular content within the region. While many internet service providers advertise a typical speed, in Australia there is no expectation that they should indicate the variability (the range of minimum and maximum speeds). If you think your NBN connection is too slow and not what you were promised, you should raise the problem with your ISP. If they fail to resolve the issue you should report it to the ACCC. To improve information about broadband speeds, the ACCC is currently running a A$7 million trial of NBN speed monitoring and it wants consumers to be part of it. Australia could have anticipated these speed issues and established a broadband performance reporting framework as part of access to the NBN infrastructure by providers. The Australian Communications Consumers Action Network (ACCAN) has been crying out for a scheme to monitor the performance of ISPs. But this hasn’t happened yet. So for now it’s left to you as a consumer to monitor your NBN connection speeds, and report any ongoing problems to the ACCC which hopes to start publishing speed and performance data later this year. Rod Sims, chairman of the Australian Competition and Consumers Commission (ACCC), has signalled that the regulator is going to take a tougher stance against internet service providers like Telstra, Optus and Vocus about misleading consumers about NBN broadband speeds. In particular, Sims has said that Telstra’s continued use of terms like “Very Fast” and “Super Fast” to describe theoretical, but often unobtainable, broadband speeds needs to stop. The ACCC has indicated that it is likely to bring court cases before the end of the year if these practices don’t end. In a speech at the Unwired Revolution Conference, the ACCC talked of the findings of a Australian communications sector review. In particular, Sims drew attention to the fact that the Australian public were opting for slower speeds on the NBN mainly because ISPs were unwilling to sell faster speeds due to the high costs of the connections (CVC) provided by NBN Co. The pricing of wholesale connections provided by NBN Co are set in order for them to recoup money that has been invested, in large part by the Australian federal government, and so unless NBN Co is directed to do this differently by the government, the situation is unlikely to change. Part of the problem is the lack of transparency. Many properties that are being supplied with a Fibre to the Node (FTTN) connection may never be able to get the fastest connection plan of 100 Mbps because they are too far from the node. 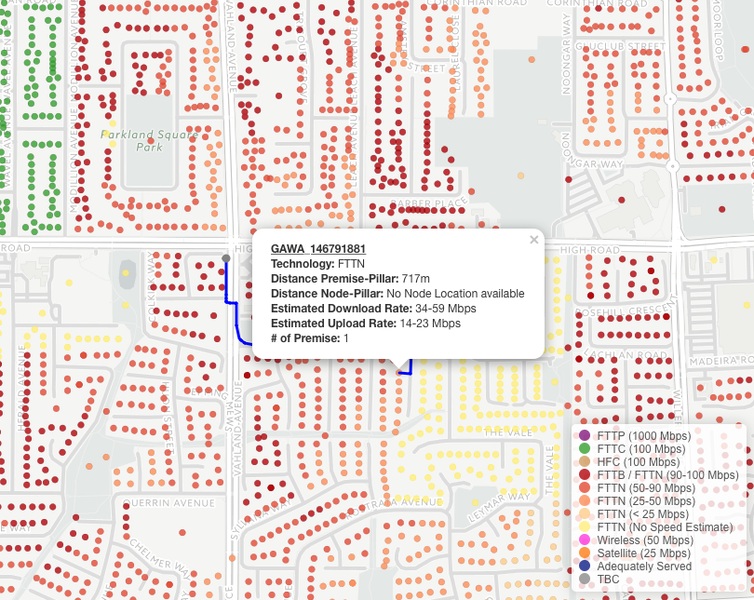 As the chart below shows, speeds of 100 Mbps can only be achieved if the house is within 500 meters of the node. 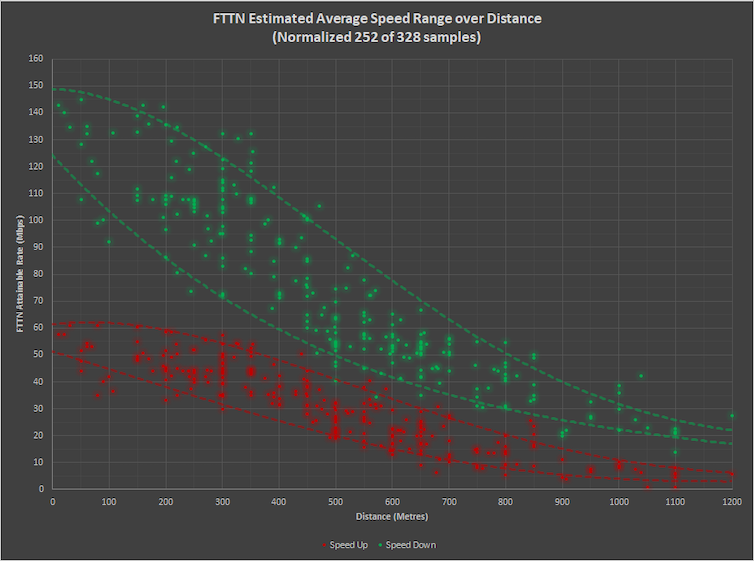 FTTN speed slows with distance from the node. A map of properties in Australia highlights that two houses on opposite sides of a road can have very different maximum speeds because of the nodes they are connected to. Telstra has previously admitted that some customers were sold plans for speeds they would never be able to attain at their premises. NBN street map showing distance from node and calculated speed. In addition to this, there are the number of connections to that node and in particular, the capacity of the ISP to handle peak demand by having spare CVC capacity. There are also other factors that would affect a property’s connection, including the state of the copper wiring between the node and the house. What the ACCC wants ISPs to do is to tell customers not only what the theoretical maximum speed may be for their property using a given technology, but also what the speeds may drop to during peak demand. NBN Co has this data and could make it public, but it won’t because it claims that it is the responsibility of the ISPs to tell their own customers. Shadow communications minister Michelle Rowland has filed a freedom of information request for the NBN data of theoretical speeds for each property. The ACCC is recruiting volunteers to install special hardware and software to monitor speeds and the quality of internet connections in their homes. The results of a pilot trial reported in 2015 showed that the problems with peak demand and variability of internet speeds existed on pre-NBN internet services like Telstra’s HFC cable service. 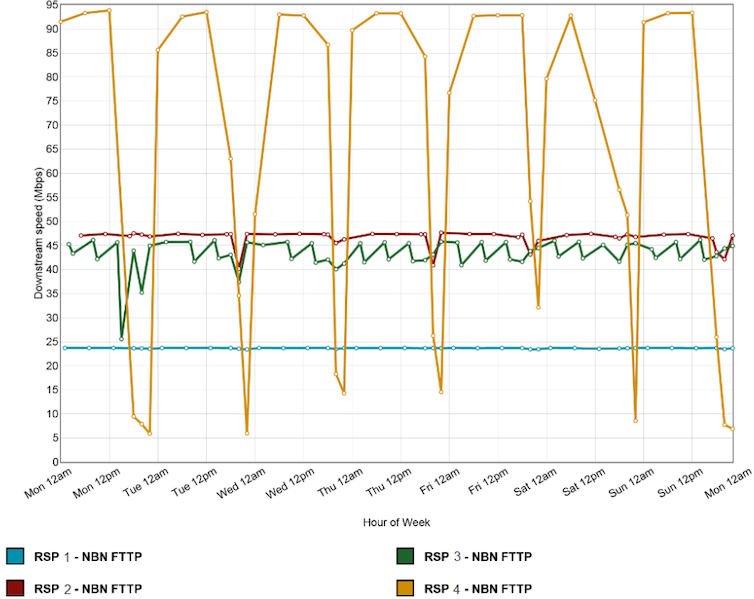 As the figure below highlights, even fibre to the premises (FTTP) connections from one provider varied dramatically, dropping significantly every evening. Average download speed of FTTP connections. While the data that the ACCC is collecting will be useful and will ultimately assist in highlighting ISPs that are not providing promised services, it would be far better if NBN Co provided this data publicly in the first place. If the politics and economics of the NBN mean that consumers are going to mostly stick to slower speed plans, many of the proposed economic and social outcomes that were originally envisioned will not be realised. While it may represent a slightly better situation for some people who currently have a poor connection via ADSL, it is hard to justify the AUD$20.3 billion that has been invested by the Australian government in the network so far. The Australian Bureau of Statistics’ latest figures on internet activity in Australia show a huge jump in the number of people with advertised speeds of greater than 24 Mbps (that’s megabits per second, a measure of data transfer speed). That trend is significant because it suggests that Australia’s appetite for faster broadband is growing apace, and that the NBN may be helping to drive adoption of higher speed internet. Starting from Dec 2014, the number of subscribers in Australia with internet advertised as being capable of 24 Mbps or greater rose from 2.3 million to 7.8 million. Or, expressed another way, from 19% of all internet subscribers to 58% of all subscribers. This increase is due, in part, to the roll-out of the national broadband network (NBN) and access to broadband at higher speeds – but that’s not the whole story. True, the number of NBN subscribers over the same period rose rapidly from 322,000 to 1.7 million but that doesn’t explain the other 5.5 million subscribers who moved to faster broadband in that time. Looking at the types of connection, there was an increase in the number of subscribers using internet delivered by fibre and fixed wireless. This tallies with what NBN data show. It’s likely that with the advent of the NBN and its standardised speed tiers, internet service providers started offering services that were on a par or better than those being offered on the NBN. Competition may be at work, and the technology itself is improving. However, data reported by cloud computing services firm Akamai in their State of the Internet reports – frequently cited by the press – showed Australia’s broadband to be woefully behind most other developed countries. Indeed, in the same time that Australia saw a huge increase in subscribers on internet speeds of 24 Mbps and above, Akamai was reporting that average internet download speeds had increased by a mere 27%, an increase to an underwhelming 10.1 Mbps. That puts Australia down the list in terms of average speeds. With ABS data showing that 58% of the population is now on plans capable of delivering speeds of 24 Mbps and above, such a paltry rise in the average internet speed is somewhat surprising. It is, of course, possible that the advertised speeds of Australian internet plans are, too often, misrepresenting the true speeds available. The way that Akamai calculates its figures is not spelled out in its report – it says that it “includes data gathered from across the Akamai Intelligent Platform”. So perhaps it would be wise to take claims about Australia’s rank in the world on internet speeds with a hefty grain of salt. Things may be better than we are being told. More data is needed to make sense of the impact of the shift of subscribers to higher speed internet. Projects like the Australian Competition and Consumer Commission’s plan to “test and report on the typical speed and performance of broadband plans provided over the NBN” will help build a more accurate picture. The National Broadband Network comes to Hobart. A recent report by the Organisation for Economic Co-operation and Development (OECD) also flags Australia’s broadband speeds as among the worst in the OECD, beating only Mexico, Chile and Greece in terms of internet speed and penetration. This raises questions on NBN’s continued use of fibre to the node (FTTN) over a large proportion of the total NBN footprint. When the coalition government came to power in 2013, it instructed a new NBN management team to stop rolling out fibre to the premises (FTTP) and instead build a multi-technology-mix (MTM) version of the NBN. But, as predicted, it is becoming clear that the FTTN component of the network is inadequate for Australia’s future needs. NBN chief executive Bill Morrow has deflected some of the blame for low speeds away from NBN and onto retailers, suggesting that their networks might not be up to the task. He has correctly pointed that part of the problem is that many customers are opting for cheaper, slower services rather than the more costly faster ones. In defence of its network, NBN points out that existing slow-speed ADSL services dominate the speed data quoted in the OECD report. It suggests that rolling out the NBN out across the entire country will help to improve Australia’s broadband ranking. But this argument ignores any future developments in other OECD countries. There are numerous broadband initiatives in the OECD, and many of these initiatives use FTTP networks, which offer much higher speeds than FTTN. Worldwide, the proportion of fixed broadband services using FTTP has increased by 77% in the past year and those using copper, such as FTTN, have decreased by 11.6%. While the OECD and the rest of the world are moving forward with ramped-up FTTP deployments, Australia is moving backwards with its continuing rollout of FTTN. New Zealand, for example, currently sits three places ahead of Australia in the OECD report. But in New Zealand, the telco and internet provider Chorus is installing FTTP around the country. It announced in September last year gigabit-per-second services across its fibre footprint, starting at a wholesale price of NZ$60 (A$55) per month. This follows the announcement of gigabit services in Dunedin in 2015. In Spain, more than one-third of customers have access to FTTP and this fraction is growing. A similar surge in FTTP connections is taking place in France. In the United States, fibre rollouts are expanding, and countries such as Sweden and Finland already have a large penetration of fibre in their networks. Many countries in Southeast Asia either have rolled out, or are rolling out, high-speed FTTP networks. One of the reasons why FTTP deployments are expanding worldwide is that newer construction techniques and cabling technologies are driving down the cost of FTTP. 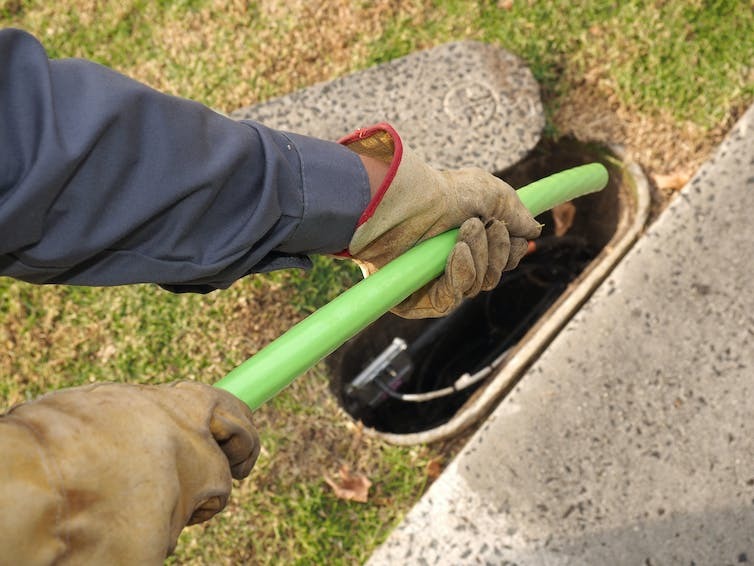 NBN Co announced last September that it will roll out Fibre to the Curb (FTTC) to around 700,000 premises originally slated to use an upgraded version of the Optus HFC network. FTTC is a relatively new technology in which fibres link the local telephone exchange to small existing pits in the street, outside a home or business. FTTC potentially provides speeds in excess of 500 Megabits per second. Up to the pit, FTTC is essentially the same as a FTTP. The key difference is that in FTTC, a small waterproof electronic box in the pit connects the fibre to the existing copper wires that run into the home. But FTTC is largely untested in large deployments such as Australia’s NBN. So a rollout of FTTC will carry a degree of technological risk. NBN says it will cost about A$2,800 to roll out FTTC to each premises, which is only $630 more than FTTN. Like FTTP, the cost of rolling out FTTC will decrease over time using newer construction techniques. FTTC and FTTP are both becoming more cost competitive. With speeds as much as ten times higher than FTTN, FTTC has the potential to improve Australia’s rankings in broadband speeds and accelerate Australia’s transition into the digital economy. These were the original objectives of the NBN. In a blog post, NBN’s chief network engineering officer, Peter Ryan, says that FTTC and FTTN are closely related, and uses this premise to paint a picture of how easy it will be to upgrade from FTTN to FTTC. But FTTC has a natural relationship to FTTP and not to FTTN. In FTTN, fibres feed a cabinet on the side of a road that is connected to nearby 240-volt power lines. The power supplies backup batteries and banks of electronics that connect to the premises via the existing copper wires. In FTTC (and FTTP, for that matter) the expensive powered node is not needed, meaning that the cabinets in the street could have to be trashed when FTTN is upgraded. In an attempt to bolster its arguments for FTTN, NBN has asserted that those cabinets are “an extremely valuable asset … which can be used for a range of purposes”. But it is very hard to imagine what these purposes could be. Despite the excitement over FTTC, it’s getting harder to cancel contracts for FTTN and move to a more sensible strategy. Ryan points out it’s not possible to “tear up 18 months” of FTTN planning as that would only delay some connections for two to three years. The NBN network is like an enormously long train; you can’t just bring things to a complete stop and change direction, it just doesn’t work that way and never will.